Move out cleaning is an annoying job. It takes a lot of time and efforts. Moreover some of the chores are quite disgusting and people usually avoid them. This is not a clever solution, though, because your landlord may keep your rental deposit if you don’t accomplish some of the end of tenancy cleaning tasks. 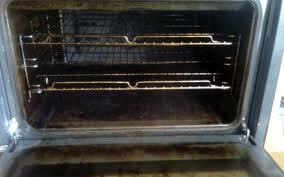 To clean the oven – it can be a nightmare if you have never cleaned this appliance during your stay in this lodging. The glass on the front door is smoked and greasy, there are baked-on grease and food stains inside, the whole oven smells of old precooked grease, an absolutely terrifying picture. If you don’t do this job and leave the oven in bad condition, though, you might not receive your rental deposit back, so you better do it. To clean under the couch – well, in my career as a professional cleaner in a move out cleaning London company, my experience has taught me that one can find quite amazing things under a couch. And I’m not talking about dust and dirt. I’ve seen slices of pizza, sausages, used tea bags, and a lot more disgusting things. The area under the couch is very rarely cleaned, so people very rarely notice if there is something wrong there. To clean the toilet and bathroom – this can really demotivate you, even if you are a professional. It is the dirtiest end of tenancy cleaning chore and I won’t explain why. You can think of the reason yourself. Although these tasks are very demotivating and unpleasant, they have to be done. If you leave them unaccomplished, you probably won’t receive your rental deposit back, so do not take this risk.